So you’ve got yourself a nice collection of vinyl records, but what are the best ways to keep them in good shape? As we all know, the vinyl record has made one hell of a comeback in recent years. Sales are continuing to increase and we’re seeing research suggesting that streaming is influencing those sales! 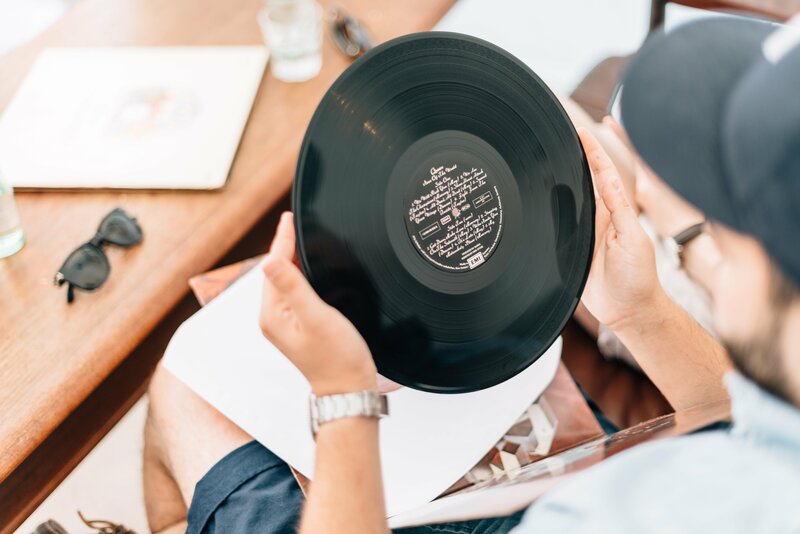 So whether you’re new to the record collecting game or a seasoned vinyl veteran, here are our tips for ensuring your vinyl live a long and fulfilling life. So when you’re not playing them, where is your vinyl going to live? And what are the best ways to store them? Ideally you’ll want to keep them in a clean dry place, avoiding extreme temperatures and humidity (so not in the bathroom or sauna if that’s what you were thinking…) What you’re doing is trying to avoid warping the record. Warping is when the record bends out of shape which often leads to unplayable vinyl. There are methods of unwarping but prevention is the best cure, so keep them away from direct sunlight and high heat. Another way your records can warp is by stacking them, so NEVER store them horizontally. Compared to other formats vinyl are pretty heavy, so the weight and pressure will eventually warp them over time. The more vertical the record stands the better. While on the subject of weight, you’ll want to make sure whatever they’re standing on is sturdy. An average 12” can weigh between 140 and 220 grams so bear that in mind as your collection grows. There’s plenty of specialist units and storage racks you can get for vinyl too. So we’re stating the obvious here, but seriously, be nice to your vinyl. Always handle them at the edges or by the inner label at the centre. Much like how it’s sacrilege to touch the data side of the CD the same applies to vinyl. When you touch the playing surface you’ll transfer oils from your skin into the grooves, which dust will stick to and affect the sound quality. You’re also running the risk of scratching the grooves with your fingernails. Which Inner Sleeves Should I Use? Poly – Poly sleeves (or polypropylene) are more durable than the paper sleeves previously mentioned but are also more expensive, but if you’re serious about collecting you might want to invest in these. It eliminates the issues of dust and scratchy paper damages when taking it in and out of the sleeve. It’s also much easier to remove and insert it into the album jacket. Some also have rounded corners making life even easier. Paper with poly lining – As you can probably guess, a mixture of the above. The outside paper makes the sleeve much more rigid whilst the poly lining inside lets the vinyl slip in much smoother with a lower risk of scratching and collecting dust. There’s LOADS of research you can do on vinyl sleeves alone and you’ll discover that usually it’s entirely down to personal preference. Test a few out and see which you prefer. Dry Cleaning – Use a carbon fibre brush to clean your vinyl before and after every play. Brush lightly along the grooves and this will help prevent the build up of dust and other dirt. The carbon strands (on the outer surface of the cleaner) reduce the static charge on the vinyl (which attracts dust) and the inner part (usually a cloth material) then collects the dust on the second wipe after the static is reduced. Remember to regularly clean the brush too. This should be a regular practice in your listening sessions. Wet Cleaning – Highly recommended when you want to give your records a deep clean. A mixture of record cleaning fluid and water (distilled, not tap!) works well. Clean with a micro-fibre cloth and dry with a separate micro-fibre cloth. Cleaning Machines – Once you have a big collection, cleaning records by hand might be a lot of effort. There are vacuum cleaning machines that automatically apply a cleaning solution and then vacuum the liquid off again. There are also spin cleaners that clean the record with the solution as it spins with the brushes cleaning off the dirt. Although effective, they can be expensive. Wood Glue – Yep you’ve read that correctly, using wood glue is an age old secret to pristine vinyl. As it’s chemically very similar to the material of a record it won’t stick to it, but it will stick to everything else clogging it up. Spread on the glue, wait for it to dry and peel away. Try this out on an old vinyl first before applying to your entire collection. What’s the best way to arrange my vinyl? As you continue to do more of your own research, you’ll find a range of opinions on vinyl care. Test out a few different methods and see which work best for you. In the meantime, if you have any tips for keeping your records in tip-top shape make sure you let us know in the comments.